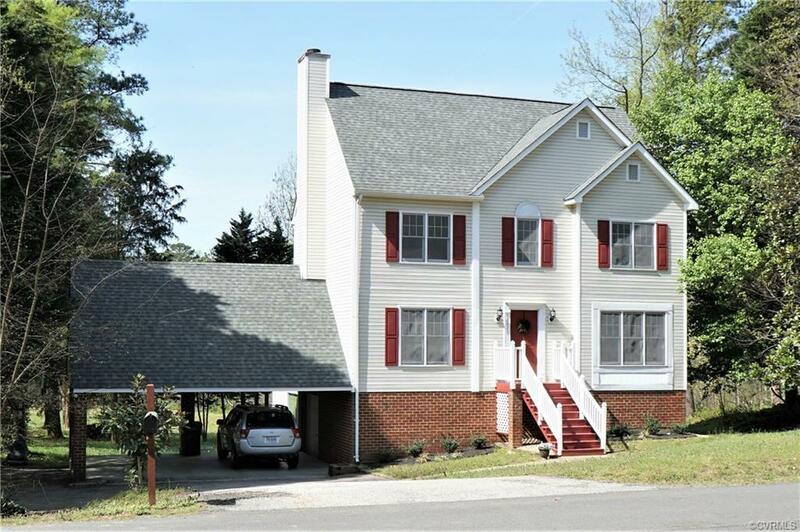 Large lots, custom homes, and mature woods grace this lovely neighborhood in the Town of Chester. Located just behind the very popular Chester YMCA, and a stone’s throw from lots of shopping and restaurants, you’ll be close to everything but feel like you’re in the country. This charming home has so much to offer! Vinyl siding, a new roof in 2017, new Heat Pump in 2018, an enormous 2-car attached carport with a garage door access to the basement workshop, an oversized deck plus a patio overlooking a private backyard, and all situated on a dead-end street just a few lots from the cul-de-sac. Inside you’ll find an open plan with the kitchen flowing through to the family room. Also has a formal dining room or home office, and a bright vaulted sunroom – great for a play room! Upstairs is an awesome master suite complete with vaulted ceiling, private loft, walk-in closet, and a spa bath with soaking tub and private water closet. 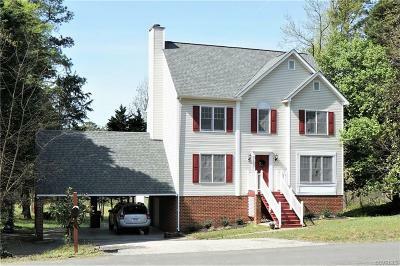 2 more bedrooms, an oversized hall bath with double vanities, and walk-in attic storage upstairs, and a ton of space in the basement – ready for your ideas!! Such a great location and a great school district! Directions: 95 To Chester Exit, West On Route 10/Ironbridge Road To Left On Parker Lane. House Near The Cul-De-Sac On The Right.